If you were around the state Capitol last session during any number of legislative hearings on medical marijuana bills you might have noticed a documentary film crew recording nearly every second of the debate. The filmmakers were also on scene when federal agents raided dozens of medical marijuana caregiver operations across the state on the very same day lawmakers on the Senate Judiciary Committee were in the process of voting on a measure to repeal the 2004 voter-approved Medical Marijuana Act. The panel failed to pass the measure on a 6-6 vote. Documentary Director, producer and writer Rebecca Richman Cohen – awarding-winning director of “War Don Don” – and her team spent countless hours in Helena and around the state documenting the political and social battles waged over the state’s groundbreaking medical pot law which passed with more than 60 percent of the vote in 2004. The documentary premiered at SXSW last month. It’s scheduled to screen at the 10th Annual Independent Film Festival in Boston later this month. Excerpts of the film were screened at the Big Sky Documentary Film Festival in Missoula in February, but there’s no word yet when the completed film will be screened in Montana. At a time when the country is rethinking its drug policies large and small, one state rises to the forefront of national attention. Once a pioneer in legalizing medical marijuana, the state of Montana is poised to become the first in the nation to repeal its medical marijuana law. 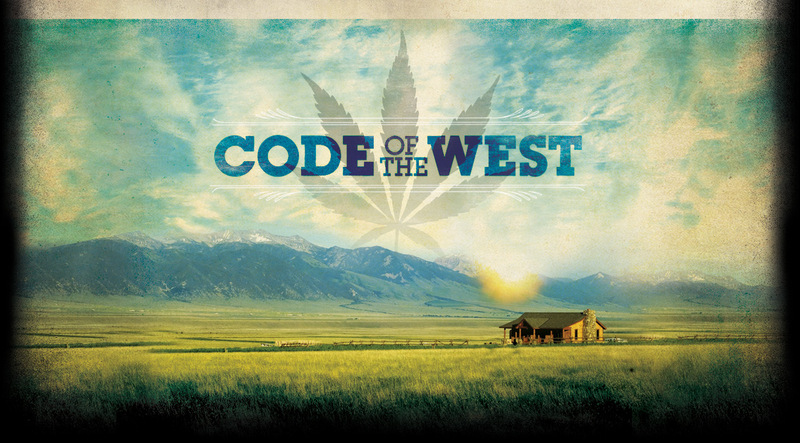 Set against the sweeping vistas of the Rockies, the steamy lamplight of marijuana grow houses, and the bustling halls of the State Capitol, CODE OF THE WEST follows the 2011 Montana State Legislature as it debates the fate of medical marijuana. This is the story of the many lives and fraught emotions tied to one of the most heated policy questions facing the country today. I’ve emailed the production company to find out if/when there are plans to screen the movie in Montana. I'll post an update as soon as I hear back. No doubt the issue will be an epicenter of debate in the 2013 legislative session.